Material :Aluminium, Colour:Black ,Size:28 cm "Key Features Durable Non-Stick Double coated 1 Year Warranty Aluminium Body Excellent Heat Distribution Easy to clean and maintain"
Made from high quality aluminium with German non-stick coating for minimal use of oil, With perfect heat conductivity, the non-stick coating helps in more efficient cooking. Featuring a handle that is cool to touch even when being used, this tawa is designed keeping your comfort in mind. Use it to cook perfect dosas, uttapam, parathas and much more. The sturdy aluminium build quality of the Premier non-stick flat tawa is highly durable and will last for a long time, even with regular use. Its robust nature makes it safe to use with wooden spatulas without worrying about the coating wearing off. This tawa features a thickness of 3mm which helps in evenly heating the surface while cooking. The highly ergonomic professional handle is designed for perfect balance control and comfort while using the tawa. 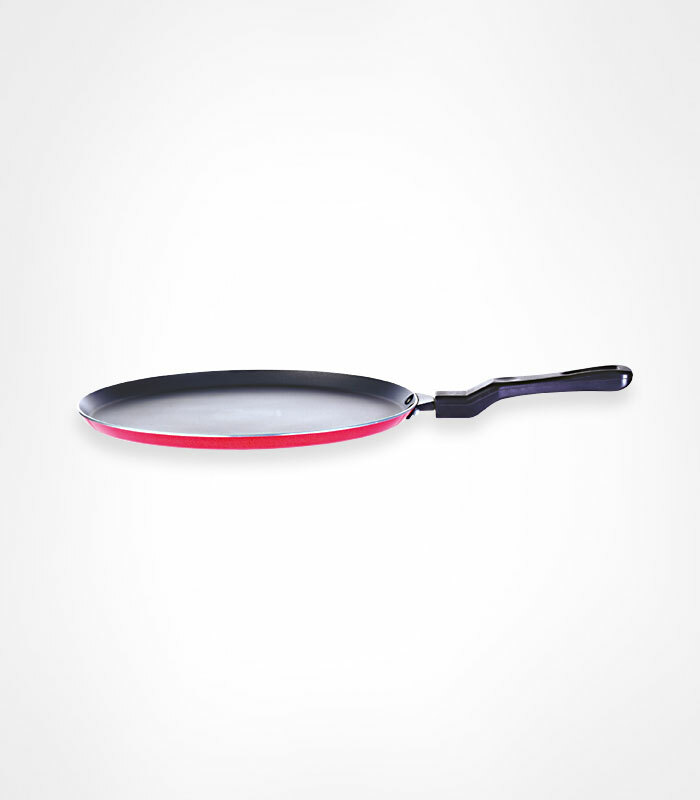 Free from PFOA and other harmful chemicals, cook your favourite food items on the Premier non-stick flat tawa without worrying about contamination. The strong construction of this tawa makes cleaning an easy task. Simply use a liquid detergent solution with a soft sponge to retain its looks and functionality for a long time.